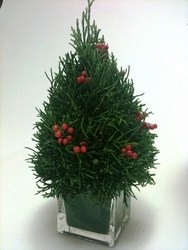 This beautiful little guy is made with fresh Lacy Cedar foliage and accented with Pepperberry. This item is 8" tall and is designed for use as a table or desktop decoration for this Holiday Season. 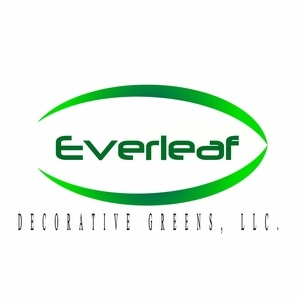 This product will last 3-4 weeks, or longer depending on the climate. *This is NOT a live plant.